Did Apple just make a huge mistake with its users? People know I’m generally an Apple fan boy. I love my Macs, my iPhone, my iPad. But I’m not blind to the reality that Apple, like any other company, can screw up. And it seems to me that Apple has really screwed up this month. Amid all the fanfare about new iPads and OS X Mavericks, Apple also released new versions of its iWork suite: Pages (for word processing), Numbers (for spreadsheets), and Keynote (for presentations). I’ve been using the iWork applications since they were first released back in the mid-2000s. Each new revision brought helpful features and improvements. If you take a look at the Pages discussions going on over at the Apple Support Communities, it isn’t pretty. The discussions about Numbers and Keynote are also looking bad. From what I can tell, Apple decided to make the Mac versions of its iWork apps function “better” with the iOS versions of the same apps. In doing so, Apple took a lot of functionality out of the Mac apps. It’s one thing when an upgrade “moves” a feature so you can’t find it immediately, but it’s completely different when the upgrade deletes a feature—like the Styles drawer in Pages. I’m a heavy user of Pages, working with it almost daily. I get into Numbers a couple of times a month, and I use Keynote on occasion. This upgrade, however, has left me gobsmacked. Just as iWork was beginning to become a serious replacement (not merely alternative) to the MS Office suite, Apple has hobbled it. So, take some advice from me. If you use iWork apps on your Mac, and you haven’t updated to the new versions—DON’T. At least not until you put copies of those apps in a safe place. (I am SO thankful that I use the Mac OS X Time Machine. I just went back a couple of weeks and restored the prior versions of the apps. So far all seems to be well.) If you have installed the new versions, check your backups to see if you can restore the prior ones. This is an “interesting time” for Apple (in the sense of the ancient Chinese curse). Is this going to turn out to be a moment like where Apple basically said, “No one is going to use floppy disks anymore. We’re not putting them in new Macs any longer”? Or will this turn out to be a moment like the Apple Maps iOS app disaster? I’m hoping it’s the latter and that some serious fixes are on the way. To me, the great thing about this email is not that a lawyer got furious over somebody failing to dish up yogurt and cereal. It’s that even in the grip of fury, he still wrote “two (2) weeks.” Why do people do this? Maybe it made sense when things were written in longhand, but now that we have email and printers and whatnot there is generally not much controversy over what “two” is supposed to mean. If you haven’t picked up this habit yet, don’t. I love the notion that there is not controversy over what a number is supposed to mean. Genius. I’m glad someone else feels the way I do about this obnoxious habit. Fortunately, most lawyers do not commit this fashion mistake—at least not in the way we dress. Many lawyers make this mistake, however, when it comes to writing. Too often, I’ll bet. Almost every lawyer does it, even though it is entirely unnecessary and, well, Bozo-the-Clown-silly. 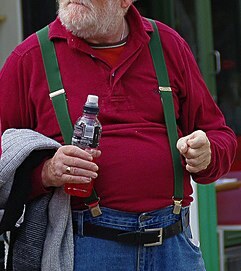 This belt-and-suspenders approach may have arisen when much of the population could not read but could recognize numbers. Well-respected legal writing expert Bryan Garner suspects that this practice grew out of a fear of typographical errors. Today, lawyers do this all the time for one simple yet groundless reason: it’s always done this way. No matter what its origins, we ought to stamp this practice out for good. Today, there’s no reason to write out a number followed by the corresponding numerals in parenthesis. It is highly unlikely that someone will mistake your “ten” for a “one.” Even the most clumsy typist is not likely to type “two” instead of “ten.” If dropping this repetitive motif will cause you to lose sleep, break out in hives, and perhaps wet the bed, then for Pete’s sake please limit the practice to formal legal documents such as deeds or contracts. As Garner points out in his Dictionary of Legal Usage, no one wants to receive a letter that says, “Please give my regards to your two (2) children.” If you do this sort of thing in your cover letters or even informal, personal correspondence, people are liable to think you are a prat. Smaller numbers can be written out if they appear anywhere but at the start of a sentence: two, ten, sixteen, etc. Any number greater than twenty should probably appear in numerals: “22” rather than “twenty-two.” It has to do with ease of reading, and the line drawn at twenty is admittedly arbitrary. Unless you’re writing out a check, there’s no need to write “One Thousand, Seven Hundred and 52/100 Dollars” in a document. Just write “$1,700.52.” It’s easier to type and easier to read. There are probably more rules I could suggest, but following these and getting rid of those ridiculous redundancies like “ten (10)” will go a long way to making your writing more readable. Your readers will appreciate it.